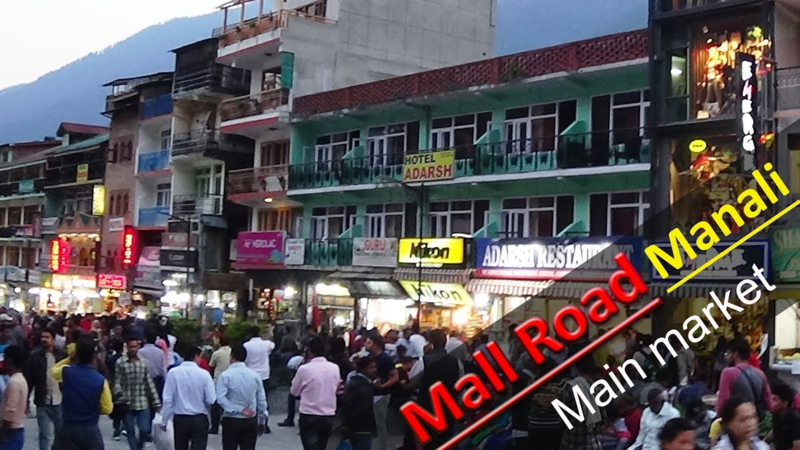 If you are planning a trip to Manali from New Delhi, you can take a bus/ train/ flight, or you can take your personal car. Driving distance from New Delhi to Manali is around 548 km while the aerial distance between them is 400 km. There are nearly 54 direct buses from New Delhi to Manali. These buses are Himachal Volvo Bus Service, City Look Travels, A G Holiday, Ashiana Travels, Mangalam Holidays and Travels, Asians Shina Tours & Travels, etc. The minimum time taken by buses to reach Manali from New Delhi is 12 hours 30 minutes. The fare will be around 1000 INR to 1500 INR. It is advisable to book your tickets in the air-conditioned Volvo coaches as they are more comfortable than the ordinary ones, keeping in mind the long distance of the journey. If you want a cheap travel, then you can take a train to Manali. You will reach Manali in 14 hours if you take a train with train number 04070 from New Delhi station to Ambala Cantt, and then take a bus from Ambala to Manali. There is no direct train from New Delhi to Manali. Joginder railway station is the nearest railhead to Manali. Once you book your tickets, do confirm your seats via your PNR number online. From the railheads, you can get several modes of transportation including taxi and bus at a reasonable cost. You can take Kalka Shatabdi from New Delhi to Chandigarh and then take HRTC from Chandigarh to Manali. The fare will be around 1000 INR to 1300 INR. The fastest way to reach Manali from New Delhi is to take a flight (IndiGo) from New Delhi to Chandigarh, and then book a personal cab from Chandigarh to Manali. There is no direct connectivity of flights from New Delhi to Manali. The nearest airport is at Bhuntar, located approximately 50 kilometers away from Manali. However, owing to the weather conditions, flights are not the most reliable options for getting to or out of Manali. The fare will be around 2000 INR to 4000 INR. If you and your friends like adventure and are down to take a personal car, it will take you up to 15-16 hours to reach the destination. The roads till Chandigarh are silky smooth but after Chandigarh, the roads are meandering. You have to be careful while driving in the hills, although the roads till Manali have been widened for convenience.